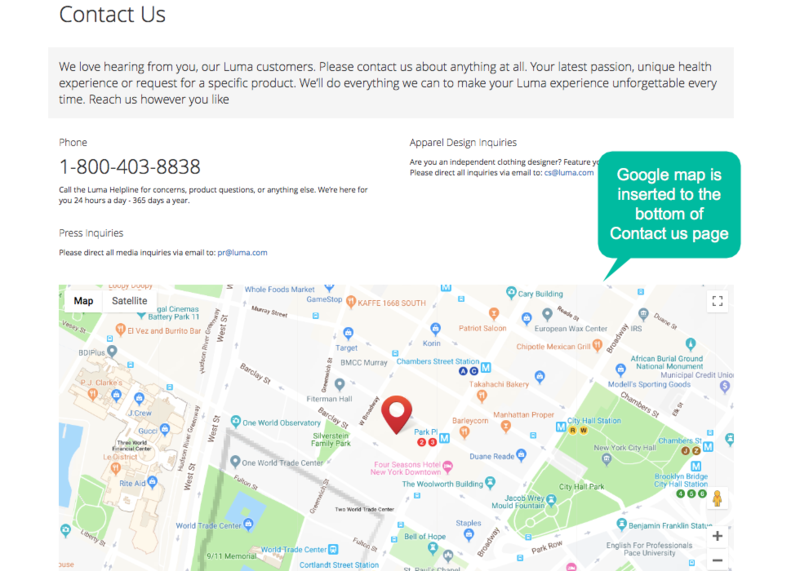 Google Maps extensions by Mageplaza allows displaying the location of the store on Contact us Page, which makes the site look more informative and professional. Customers tend to feel more confident about the contact of a store when they see the business appearing on Google maps. Viewing store location on the map, customers can quickly estimate the distance to reach the store from the current position. 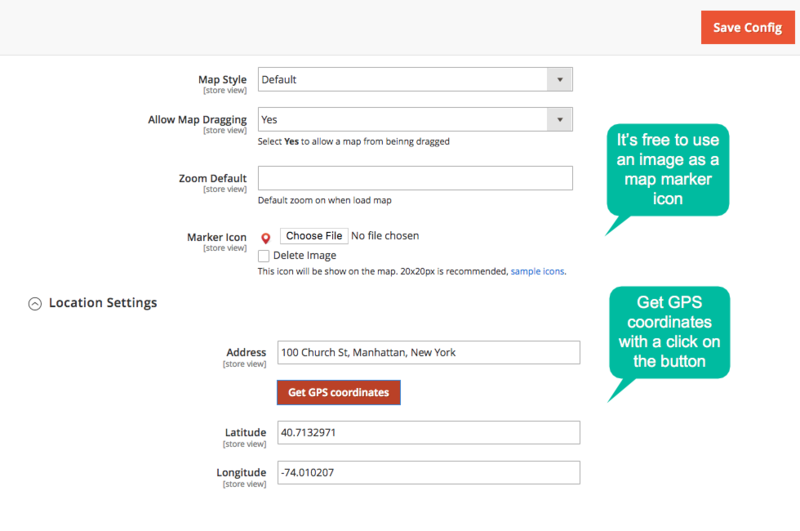 When a decent map is attached to the site, the site will look more professional and friendly with users. 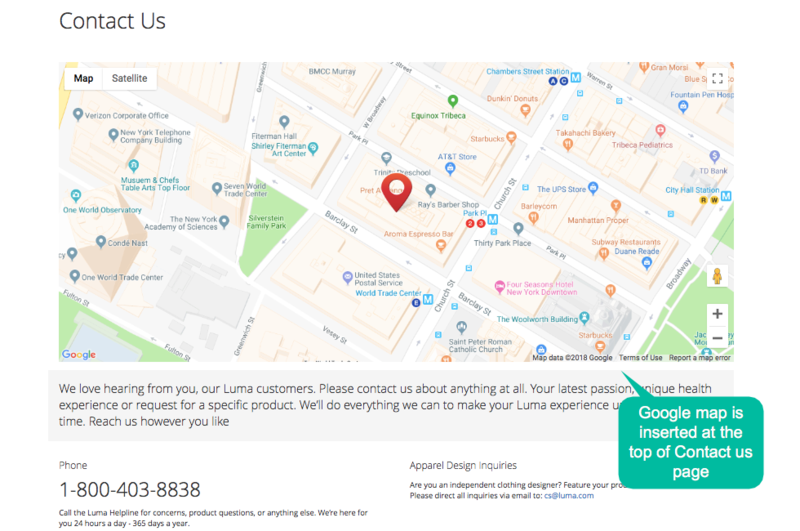 Instead of using text to show store location, the store owner can make the contact page more attractive by adding eye-catching Google map with the marker showing the exact store address. 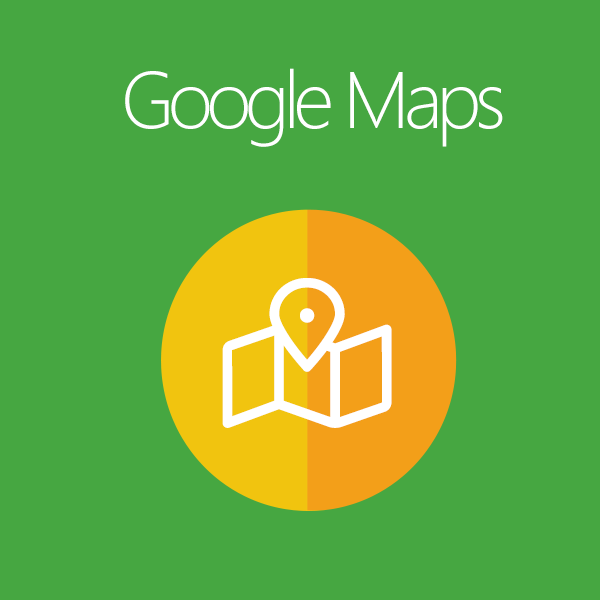 Google Maps by Mageplaza allows store owners to set the position for the map at the top or bottom on the Contact page. 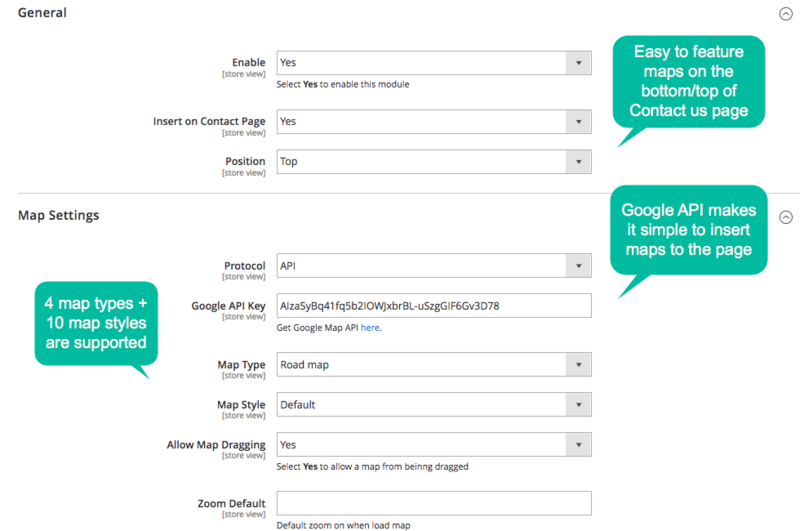 Google Maps extension supports with two choices to add a map on the site. The first one is using Google API key to get the allowance for displaying maps from Google. The second choice is more simple by embedding directly Google iframe code. By using Google API key, when the address is filled, GPS coordinates can be defined automatically with the latitude and longitude. These coordinates can be fixed by admins if they would like to get the exact location of the marker on the map. Drag the map to view the surroundings around the store location. Google maps extension is well responsive with both mobile and desktop devices. The extension is properly compatible with Mageplaza Store Locator. Must have the extension for all Magento store owners. This is working very well. And highly satisfied with the extensions functionality. Once again Mageplaza, once again free extension. Thank you so much, guys! This is a good extension! It's so easy to install! Besides, it works very well. This is a must-have module for everyone e-commerce store owner. Thank you Mageplaza! Dear sir, I found that it is a very nice valuable product, you made very nice quality code, just install and work, very nice job done. As any Magento basic template does not have maps, our clients had trouble finding our store. When we installed this we automatically had Google maps on our contact form in Magento 2. Great addon, easy to install and super easy to setup. Works great.